Final decision on National Government on Monday! A final decision is to be taken with regard to the forming of a National Government by next Monday, according to political sources. 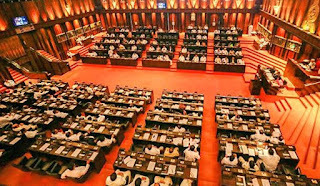 Although nine members of the SLFP had expressed their agreement for the forming of the National Government, they had still not reached a final decision, said Minister Lakshman Kiriella. He noted that the formation of the National Government was discussed at length at the last party members meeting held on February 21 and it had been decided to expedite the decision with regard to the National Government. Kiriella said that the forming of the National Government was successful having included the SLMC member as well.